Whilst working in the remote Patagonian region of Aysen, Harriet discovered trekking, the great outdoors and her future husband. She later spent two and half years biking and mountaineering throughout the Andes. After school I headed to Aysen in central Patagonia where I took part in a Raleigh International Expedition. I completed my first multi-day trek when we explored the Cerro Castillo range for 3 weeks. We completed a biodiversity study of the flora in the Tamango National Reserve, we built a football stadium and we extended the women's handicraft centre in Villa Ortega. I met my future husband on this project and ever since, we have trekked as much as possible throughout Europe, Asia and the Andes. We became frustrated by the limitations of travel by public transport during a two year backpacking trip in Asia, bought bikes and pedalled it back from Istanbul to the UK over the course of two months. Thus was born a passion for cycling that has taken over my life. 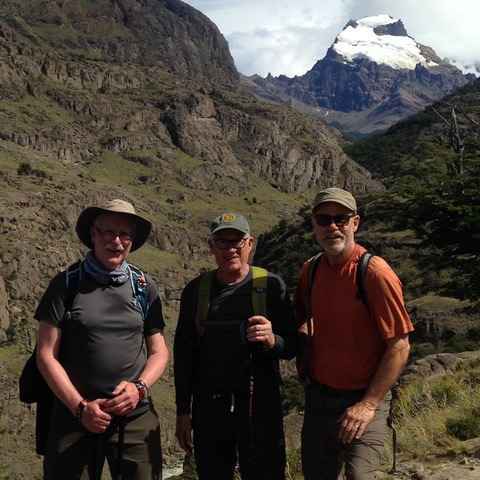 An 18 month pedal powered exploration of the Andes followed; we cycled the length of Patagonia stopping to trek when we liked the look of a mountain and fancied a summit or when there was the chance for a foray into the mountains. On this trip I discovered that cycling to and climbing peaks is the most wonderful thing and have spent years hunting for the highest roads in the world in order to cycle them and climb peaks. The highest road we have found and cycled was on Uturuncu Volcano in Bolivia where we cycled to 5,760m and then climbed the 6,008m summit. I have climbed 8 out of the 12 highest peaks in the Andes in this way and would recommend it to anyone! I have always loved helping other people get off the beaten track, and when we started cycling routes that were not well known we started to publish them on a website we created called andesbybike.com. For a time, we lived in Huaraz in Peru and wrote Hiking and Biking in Peru's Cordillera Blanca and Huayhuash for Trailblazer guides, and more recently, we have also updated Trailblazer's Adventure Cycle Touring Handbook the guide that first inspired us to adventure by bike. It will be no surprise to learn that I now spend most of my weekends in the outdoors biking with my husband! Having hiked the main trails of Fitzroy previously, I returned and explored some more off the beaten track spots like Aguas Arriba, the Huemules Reserve and Paso del Viento. I had also previously hiked the W trek and circuit so in 2015, I went in search for the more off-the-beaten-track gems, exploring the Silencio valley and Oggioni pass and Bader valleys. In 2016 I spent three weeks in the Aysen area and discovered that there is much more to the valleys either side of the Carretera Austral than I had ever imagined. This area has so much to give and is often overlooked but the glaciers, rocky spires and extraordinary lakes and forests are all here waiting. I love arranging whackier trips for more adventurous and independent folks, that are really off the beaten track, and helping people discover the heart of Patagonia. There's so much about Patgaonia that I love but above all it's the wilderness and the chance to be adventurous. Trekking and cycling through its spectacular scenery makes the hairs on the back of my neck stand on end! Whether its in Aysen, Los Glaciares National Park or any other of the myriad amazing places that Patagonia has to offer, I am never disappointed. On top of that, the warmth of the people I have met on my numerous visits there have led me to call Patagonia my second home. Harriet catered and designed the exact trip we were looking for: challenging and different but not tedious. We loved trekking on lesser-known trails for not longer than 5 days. We highly appreciate the responsiveness and patience of the Swoop team with all of our questions and itinerary changes. We would seek Swoop's advice again. Harriet identified the ideal trip for me and hooked me up with the right guide service. Excellent suggestions and good advice. Harriet played a great role in putting together ideas and fielding all the challenges e.g. walking on the glacier. The trip was perfect for us and was within our capabilities - we felt stretched but always in control. Big thank you to Harriet for all her time, care and attention, and all at Swoop for their assistance in putting the trip together. Very impressed. Our self drive in the North of Argentina was an absolute highlight. Harriet was spot on with all her route recommendations and we loved it all. We are extremely happy with Swoop and would highly recommend them. Harriet deserves a special mention as she went above and beyond. Torres del Paine - What is a refugio? 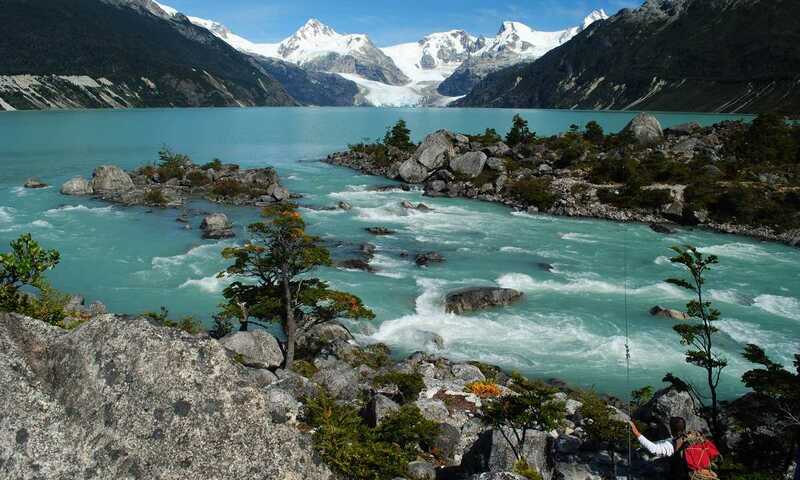 I don't know exactly what my next recce to Patagonia will hold but I hope to see more of the hidden gems of Aysen and would also like the chance to explore Yendegaia National Park down in Tierra del Fuego.